I know these kind of before and afters are all over the internet, but for me they never get old! Call me weird, but I get excited about seeing the possiblilties in what someone else thinks is junk! 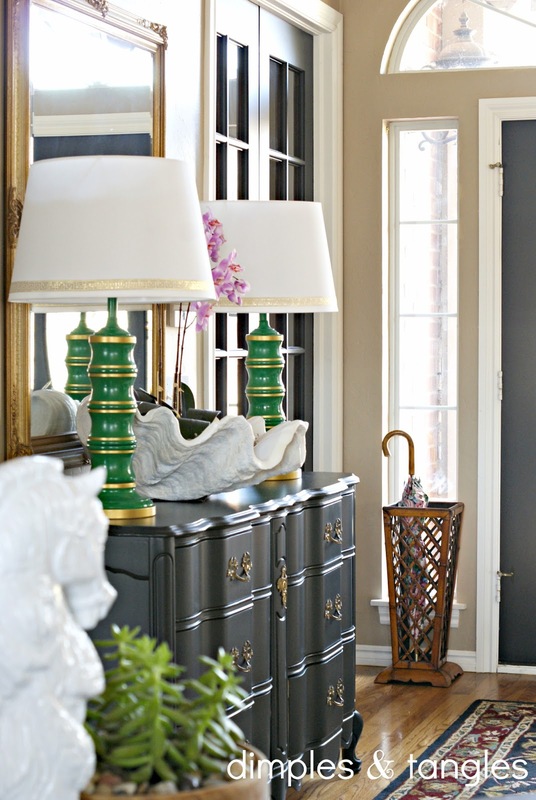 I knew I wanted them in the entry, and I thought a big shot of *green* would look great with the black dresser and doors. 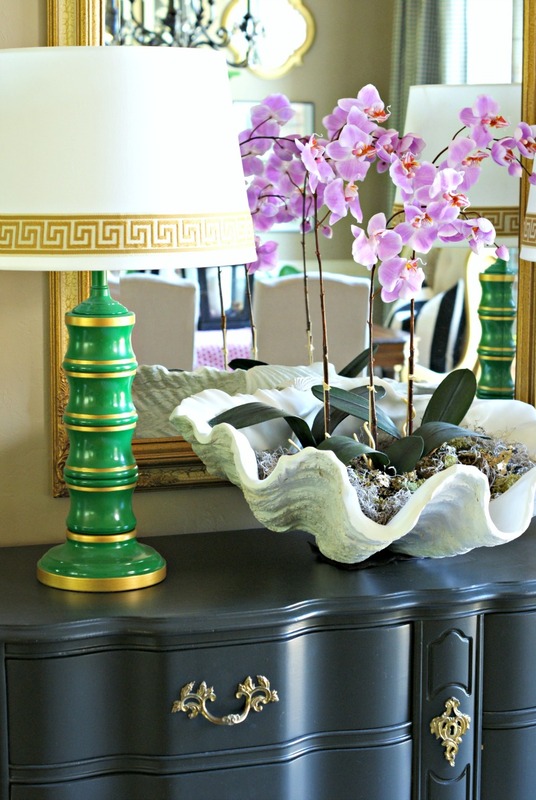 I also love the color combo with my new clam shell arrangement. After a good cleaning and coat of primer, I sprayed a couple of coats of Rustoleum's Meadow Green. They seemed like they needed a little more definition, but I'm such a visual person that I had to play around with my options. I used Courtney's trick of painting tape and applied some Rub & Buff to painter's tape, cut it in narrow strips, and played around with options of where I wanted some gold detailing. I used a small paintbrush and "Pure Gold" acrylic paint to paint the rings. Not gonna sugar coat it, they took forever...like 2 1/2 nights while watching shows. But, I think the extra touch was totally worth it! As I mentioned in a previous post, the largest drum shade at Target was still a little too small, so after converting the Ikea Jara pendant shade to fit on a harp, I added some greek key ribbon to the bottom. Here's a little tip- If you want to add some trim to a shade but don't want to ruin the shade with hot glue, just add one little dab at the seam, and wrap your ribbon tightly around the shade. To finish, secure the loose end by putting one more drop of glue on the end that's already glued down, and press down the loose end. You'll only have one little drop underneath if you ever want to change it down the road. The sides of my shade are a bit sloped, so I also used 2 or 3 adhesive glue dots (found with the scrapbooking supplies) around the bottom to keep the ribbon from slipping. If I ever remove the ribbon they should come off without leaving any residue. Just to get a feel of the size, here's a comparison shot with the lamps that I used to have here. I still love them but have found another home for them. I like the presence of the larger lamps in the space. Now, I just need a great sale at RugsUSA so I can get a new entry rug. That one is over 10 years old and has served it's time. All of the lamps in my son's and daughter's rooms are also thrifted transformations. What about you? Do you have a love of thrifted lamps? and I've since changed the trim on the lamps to this fabulous new greek key trim from Hobby Lobby. Love it so much more! Gorgeous! Gorgeous! Gorgeous!!!! You really are talented!! And onc again we have picked out the same thing! Is that Joann's Greek key ribbon? I have it around my bedroom lamp shades. I had to drive to two different stores to get it. I am seriously obsessed with Greek keys. 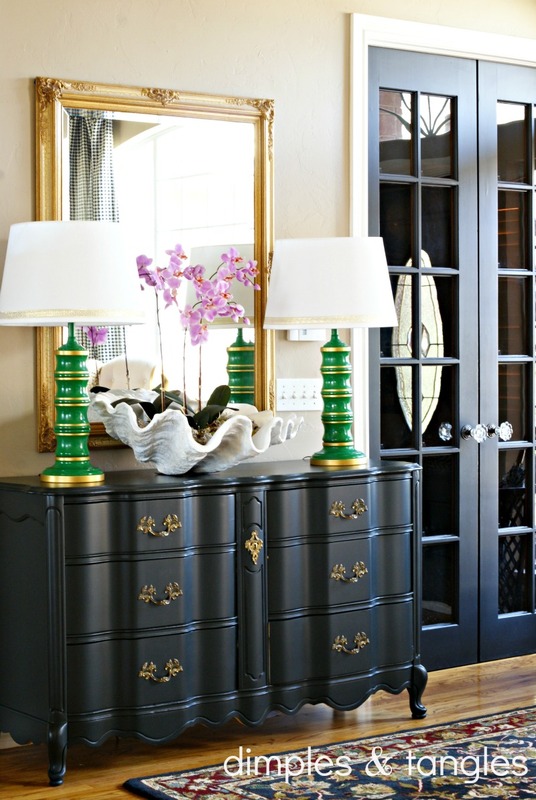 I love seeing the green lamps and the reflection of the painted china cabinet. Hi Jackie! Yes, I saw it at JoAnn's but actually bought it at Hancock's-they had the same thing. I had to look a lot too...it was hard to find! I love the lamps, they look fabulous. I saw your hutch on Mr. Goodwill Hunting's blog this morning. LOVE those! so dramatic and chic! Love the green! What a statement!! Ooh la la! Gorgeous and I love the pop of green echoing your hutch!! Hurrah for emerald! Love them.....the pop of colour is just perfect. These are amazing! Well done! And I love that it pairs so well with the green cabinet in the dining room. Perfect pop of green for spring and summer! You continually amaze me, friend! These are gorgeous! I adore these lamps! What a beautiful job you did. They look like they came from a high end store. Stunning! Gorgeous makeover! 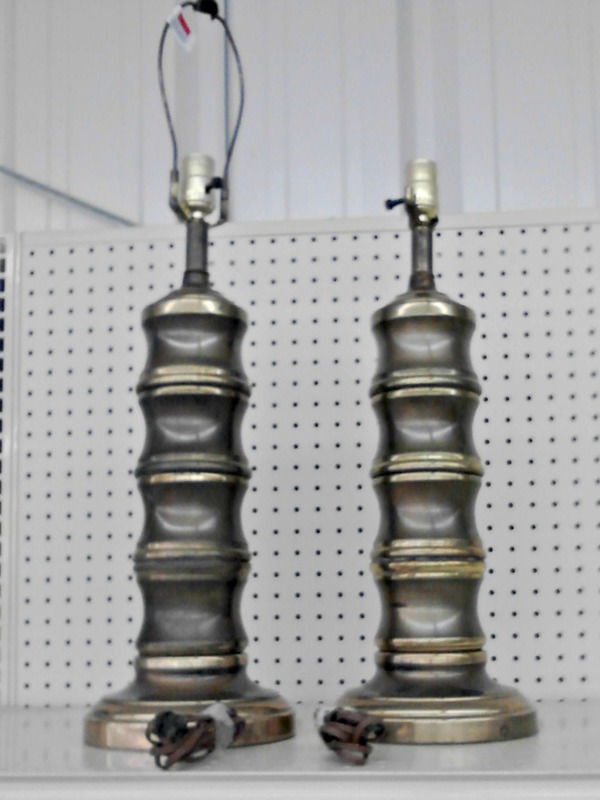 I love how you brought those old lamps back to life. They looks so very 2013 and just like something you would find in the stores now. Very smart! Love it! Stunning! And the clam shell in the middle is the icing on the cake. 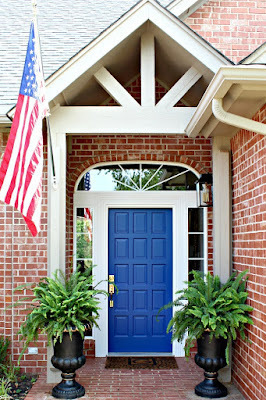 What a wonderful way to enter your home! 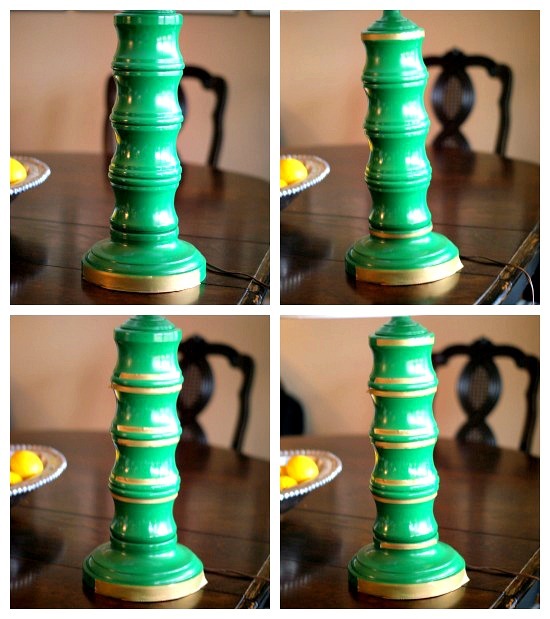 I'm in love with this lamp transformation - read your post on my phone and had to come sit at the computer so I could pin it! Great job! 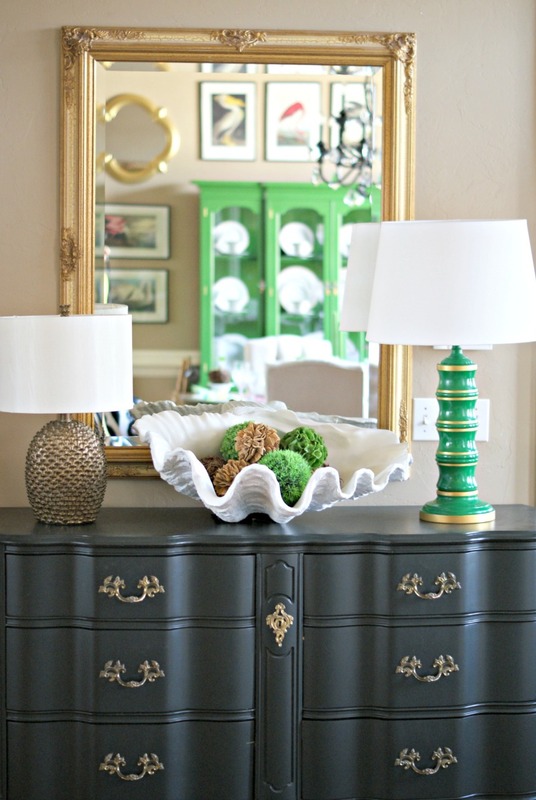 PS - a relatively new reader (found you a few months ago via your green china hutch - LOVE! ), and just love your stuff! Those are stunning! 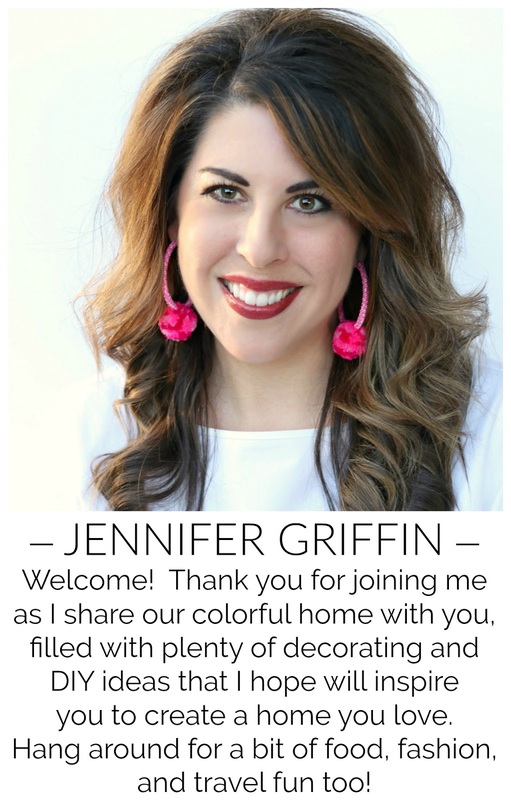 You are so creative and I love all the pops of color in your home. 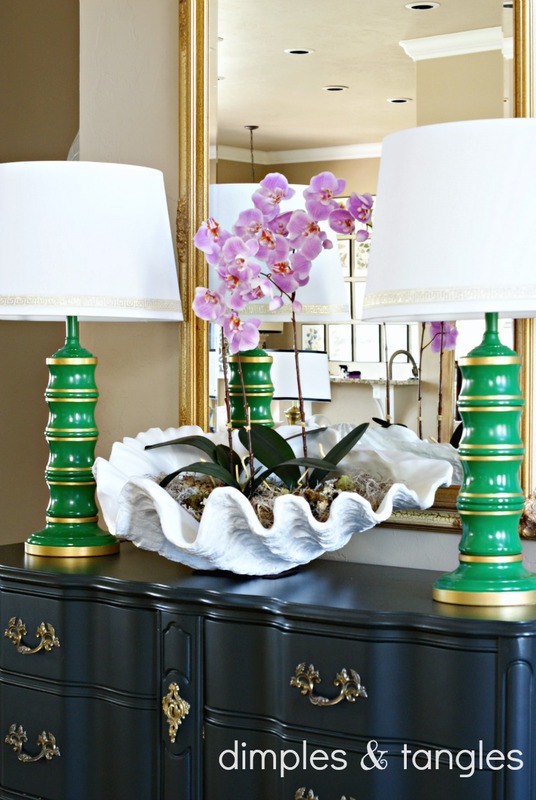 Love the green and the gold accents totally make them special. Stunning! I knew there would be green...and love the gold. :) I have a lamp addiction, to be very honest. I haven't tried thrifting them so I should do that. The gold is just perfect as a highlight on them ~ I'm sure that took a lot of time. Great job! I just painted a huge lamp I found at a thrift store. I love instant change! Your lamps look stunning and so YOU! Fabulous job on the lamps! I hate to tell you that we have 4 Karastan wool rugs that we got in the first few years of our marriage, and we have been married 25 years. And the dumb rugs are still in mint condition! I say dumb b/c I sure love the chevron and other patterns that are popular now, but it's hard to justify replacing these all-wool rugs b/c they show no signs of wear! 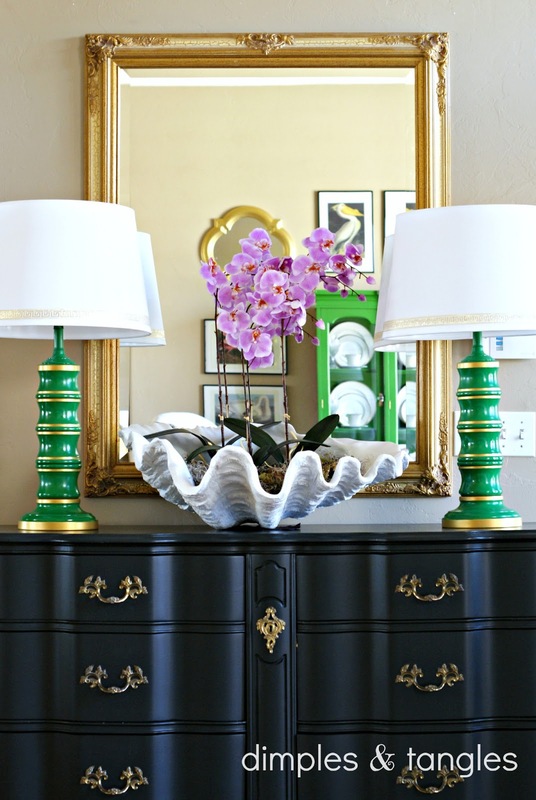 They are traditional and my mantra used to be that if you stick with traditional things then they will never go out of style--but that was before I discovered all these wonderful home dec blogs!! 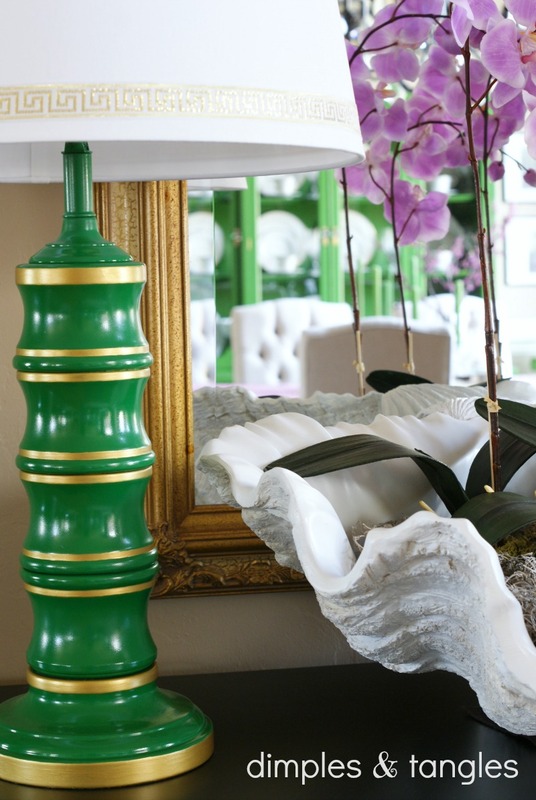 The lamps totally have the Ooo factor! So how much did the lamps cost? I love thrifted lamps too and yours look great! Love the green and gold color combo! very nice! I found you through Better After. I am sure I will enjoy perusing your site. This is an amazing transformation! One of the best I've ever seen, beautiful!! I love the pop of color you added here! Very pretty! I am your newest follower from southern charm! I would love for you to check out my blog and hopefully want to follow me back! Have a great Friday! Nicole! I keep coming back to look at this wonderful transformation and accessorizing. I absolutely love the work you have done. Hello, I love what you did on the lamps! They are beautiful! 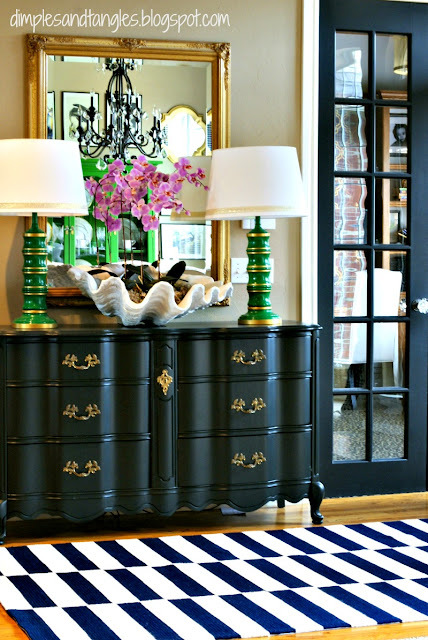 I also love the dresser, do you know where I can find a dresser like that? How can there be zero comments???? These are so beautiful! I keep scrolling back and forth between the before and the after- just stunning!